What I went through — normalized suffering — simply cannot become the norm. I graduated from Arcadia High School in 2015 before coming here to Stanford. Unlike what the stereotypes may suggest, I was not the valedictorian. I was not even the salutatorian. In fact, because of my last name, I sat at the very back row during graduation. Unlike what stereotypes may suggest, my high school career was the very opposite of smooth sailing. For every A that I did get, I had at least one panic attack in the process of getting it, and for every A that I didn’t get (and there were quite a few), I had many more. I’ve had the urge to jump, and even more often, I’ve felt too down to even take that modicum of effort. There were entire stretches of months at a time where I would not get anything more than four-hour naps on non-weekends. There were weekends when I couldn’t even guarantee that. It’s so easy to glorify it: I could say that I was motivated, that I was ambitious, that I managed to balance, in admissions-speak, a “rigorous course load” with “meaningful extracurricular activities” — and there’s certainly a kernel of truth in all of those statements. But it is even more truthful to say that for almost all of high school, I was consistently on the brink of collapse, both academically and personally. There were no buffer zones. Even after every extension was taken, every comparatively small assignment skipped, everything was scheduled to the minute before the deadline (if this sounds like Stanford, I can only assure that you that it was far worse, and I hope that you might take my word for it). For what it’s worth, I don’t regret these experiences. It was a valuable exercise in learning, and these are lessons about myself and in resilience that I don’t imagine I could learn quite as well any other way. But what really disturbs me is that, after all of this, there are so many who think mine is an experience that is worth repeating. As a bit of a background, my high school was about 70 percent Asian-American, of whom the bulk were Chinese-American, and was home to a Chinese parents’ association whose most visible activity was to put on monthly seminars, in which speakers are called in to talk about the college admissions process. 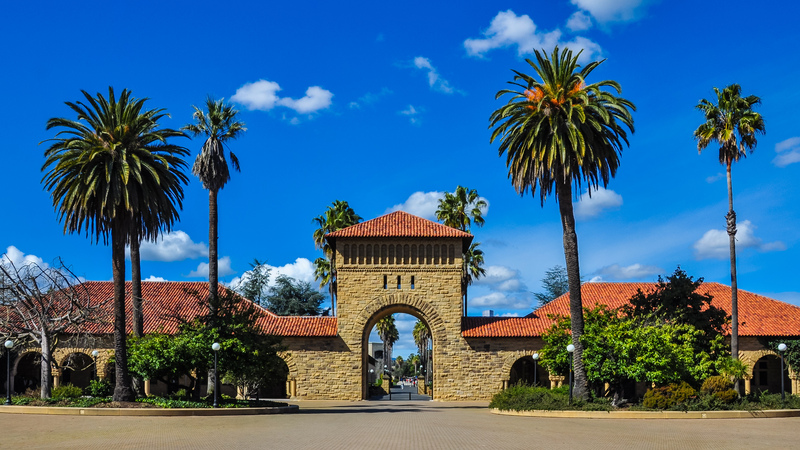 And often, the speakers were students themselves — well, that is, the handful of seniors every year that got admitted to the Ivies, Stanford, MIT and the like. And so, at some point during my senior year, I was told to turn my résumé into a PowerPoint slideshow and then present it (along with two admits of Ivy League schools) to a roomful of wild-eyed parents, who dutifully copied down everything in our presentation — the classes we took, the activities we participated in, the places we volunteered — as models of success for their own children to emulate. And that made me want to scream inside because mine is not an experience that I would like anyone to emulate. It may have ended desirably, but at what cost? Throughout high school, concern for personal wellness was a non-starter. There was neither the energy in me to admit to what was a perceived failure, nor the time to take care of it in any meaningful way. So, my response was mostly to let it fester. I didn’t really begin to take care of myself mentally until I arrived at Stanford, at which point I was a frightened wreck. That was the cost for me, and I don’t want it to be that for anyone else. Unfortunately, I also know that it’s a cost that many parents would be willing to accept — or at least wouldn’t mind minimizing as a side effect. And I understand their anxiety. The Asian-American kids in my community, although predominant wealthy, already have several strikes against them. Parents in my community often aren’t native speakers of English and are generally unfamiliar with the college admissions process. There is a dearth of social capital that many white kids take for granted due to the insularity of the immigrant community. Then there’s the profound discrimination that students of East Asian heritage faceunder affirmative action that favor white applicants over them (for example, studies have found that Asian-American applicants as a whole are treated negatively under affirmative action, despite a continuing legacy of disenfranchisement and discrimination, while whites are treated neutrally). And if you are among the minority in my community that are poor or if your first language is not English, then the odds are even more stacked against you. In the current system we have, it does pay to “excel” and go to Stanford or Harvard or Penn, and to “excel” obviously has a price. But if someone is from a marginalized background, they must pay a steeper and more outrageous price to overcome obstacles that ultimately have their roots in an inherently unequal system. It’s by no means fair, but at the moment, an Asian-American student does need to work harder — statistically, at least — to “excel” than their white counterpart. But I also know that this — what I went through — simply cannot become the norm (but when I presented in front of those parents that night, I knew I was playing an undeniable role in doing just that — normalizing suffering). I was lucky. I didn’t break when I was in high school, and thanks to the support that I was fortunate enough to receive here at Stanford, I didn’t break here, either. But in both places, I came dangerously close, and the consequences would have been predictably disastrous. That’s not a chance anyone should have to take, and that’s not what the price of excellence should ever have to be.